On January 24, India will take on hosts New Zealand in the first match at the second-leg of Four Nations Invitational Tournament at 12.00 hours IST. India will begin their campaign in the second-leg of the Four Nations Invitational Tournament in Hamilton at the Gallagher Hockey Stadium on January 24 against the hosts New Zealand coached by former Black Sticks midfielder Darren Smith. In the first-leg of the tournament, India got off to a good start with 6-0 win against Japan but lost 0-2 to Belgium in the following match. Winning 3-1 against hosts New Zealand, who had beaten Belgium 5-4 in their first match, put the Manpreet Singh-led Indian team in the Final. India topped the pool table with total of nine goals, having conceded only three in the pool stage while Belgium scored ten goals but conceded six. “As a team we have made progress match after match. We had four young players make their debut and even scored in matches which is good. We came close to beating Olympic Silver Medallist, Belgium which gives us a lot of confidence going into an important calendar year for hockey,” expressed Chief Coach Sjoerd Marijne about the team’s performance in the first leg. Though his team lost a closely contested Final by 1-2 to Belgium, Marijne feels the result for him is positive. “You must understand that Belgium is here with their complete squad and they are one of the best teams in the world. Competing with them with the team we have here is still a huge step forward. The fact that the youngsters have shown confidence in playing the world No.3 ranked side gives me more options as a coach and it is this competition within the team which will help us grow,” he added. Though there are positives the Chief Coach derives from the team’s outing in Tauranga, he pointed out that missed opportunities continues to dent the team’s chances. “For me, most important is converting the chances into goals. We create enough opportunities but that’s not enough. We must score more goals,” he asserted on the eve of their opening match in Hamilton. Meanwhile skipper Manpreet Singh stated that the team is eager to put up an improved performance in Hamilton. "Doing well against a team like Belgium will no doubt give us the confidence for future matches but winning against them will be a big boost to young players. To be able to do that, there are areas that require improvement and we need to ensure we don't repeat the mistakes we did in the previous matches. 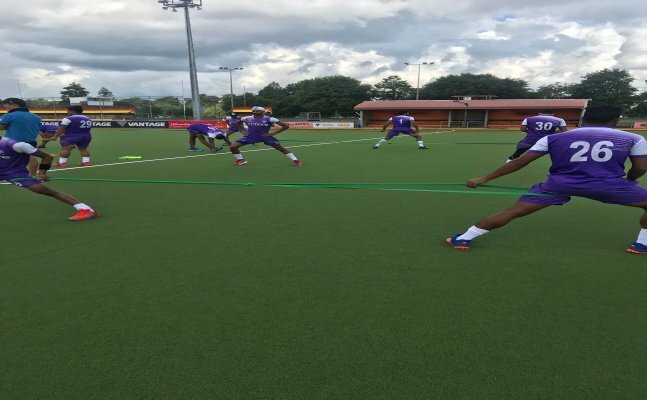 While doing well against a higher ranked team like Belgium, who we will play in upcoming major tournaments like FIH Champions Trophy and the Odisha Hockey Men's World Cup Bhubaneswar 2018, is a priority, winning against Japan and New Zealand has also been a plus point for this young squad. Going into the second-leg of the tournament, the mantra is simple- convert opportunities into goals," stated the 25-year-old skipper.